As you must know by now, Rich and I are huge fans of Indian cuisine. Indian food is a perfect fit for plant-based diners with a penchant for robust spice blends and mouth-watering preparations. Indian fare varies from restaurant to restaurant just as it does from region to region within India. This provides us with endless opportunities for exploration of this exotic cuisine as this visit exemplifies. Rich and I are delighted to report on dishes we have not previously encountered. Yesterday, upon returning from a family affair in Syracuse, NY, we stopped at Winchester, Virginia for a sleepover and a meal. Luckily for us, Taste of India Winchester must have been signaling to us telepathically because our fine-tuned culinary antennae honed in on their transmission and directed us right to their location, just as we finished checking into our room. Taste of India is a gorgeous restaurant decked out with large comfortable booths, glass-covered tablecloths, a bar with seating, and a splendid buffet area with free-standing tables and chairs. The buffet is served at lunchtime from 11am to 2:30pm, Tuesdays through Sundays. The restaurant is closed Mondays. The buffet boasts at least three vegan items on the menu at all times. There is also a fourth item that may be either vegan or vegetarian, depending on the day. The bar serves a variety of beers and wines but no hard liquor. The first thing I noticed upon opening the menu, is that there is a separate vegetarian section in which vegan options are clearly listed as VEGAN! As much sense at this makes, it rarely ever happens. I usually have to go through the menu ingredient by ingredient, hassling the waiter with dozens of questions, and still I’m not really sure if I’m getting a truly vegan product. Taste of India Winchester has taken the guesswork out of the equation, with the exception of the appetizer section, where one does still have to ask. That list is not long though, and the staff know what they are doing, so even that is not a problem. A welcome plate arrived with three types of sauces and a crispy flatbread, almost like a cracker, imbedded with cumin seeds. One of the sauces was a sweet tamarind chutney, the second was a chunky savory mint and cilantro green sauce, and the third a crisp onion condiment with tomato puree and spices. All worthy of recognition! For starters we shared a combination of two fried dishes which were very similar; a Samosa, a traditional triangular-shaped fritter stuffed with Potatoes Masala and peas, and Aloo Tikki, a similar tasting potato patty dipped in chickpea batter and fried. These were served with another amazing sauce, which is apparently a combination of the three mentioned earlier and with an added layer of something extra. The store owner and manager, Kamal Khatri, has agreed to share his recipes for these fantastic sauces, which are staples of Indian cuisine. Rich and I will be returning in the coming weeks to do a video of of just how these exquisite flavors are achieved so that you will be able to make them for yourself! Now on to the main course! For my entree, I ordered Vegetable Patia, a slightly sweet dish of mixed vegetables stewed in a blend mangos and Indian spices and served with jasmine rice. Rich ordered Mattar Mushrooms, a house specialty of mushrooms and peas in a rich and savory stew, also served with rice. They were perfectly spiced with a melt-in-your-mouth yumminess that is hard to describe. Of course, we shared so we each enjoyed both dishes, which were perfect complements of one another. We also enjoyed Poori, a balloon-shaped airy unleavened flatbread that must have been quick fried. It left us licking oil from our fingers from its exterior, while still savoring layers of the soft interior. This was a first for me. While I’m not generally a fan of fried food, once in a while I figure I can indulge. This is a definite two thumbs up for some of the most superb Indian food we have found in recent memory. Taste of India Winchester is located conveniently off I-81 and is a perfect place to stop for lunch or dinner to break your travels whether heading north or south across this great country. Fortunately for us, the impending chutney/sauce/condiment video makes our return a fete accompli. I can’t wait to sink my teeth into some more of the many vegan options on the menu! Check with us in a month or so when Kamal shows us how to make his marvelous condiments! Family Convenience Store, Harrisburg, VA, Serves Up Ethiopian Cuisine Family Style! In one of the most unlikely places, we discovered a gem of an Ethiopian restaurant located in the recesses of a small family owned convenience store, appropriately name Family Convenience Store. The chef, Tirhas Negassi Woldebabr, was once the chef of a favorite Ethiopian restaurant in the same city, called The Blue Nile. We had reviewed The Blue Nile several years ago and were dismayed to learn that it had closed. What I remember best was how delicious the food was, especially the Ethiopian Peanut Soup served with an unforgettable bread, Ambashi, which is the national bread of Ethiopia, according to Tirhas’s husband and partner, Mehari. T. Ocbamichael. With overtones of honey, it was a perfect complement to the to-die-for peanut soup. Now, the couple has opened up the Family Convenience Store, and Tirhas is back, juggling batches of batter between three grills, efficiently making injera and ambasha breads for her customers. She also prepares a wonderful menu of Ethiopian stews, called Wot (pronounced What), served on the spongy sourdough injera flatbread for which Ethiopia is famous. She offers packages of fresh injera for sale in the store, as well as with the dinners she prepares for eat-in or take-out service. Their daughter, a newly graduated high-school student, helps out in the store when she’s needed. Mehari manages the Family Convenience Store, which offers all the standard items one can find at an American convenience store, but it also provides a range of Ethiopian goods, such as an assortment of spices, teff flour, and false banana root. I bought some of the false banana, though I’ve no idea what I’m going to do with it. I just couldn’t resist! You may wonder whether there is a demand for Ethiopian products in the area, but it seems there is. Harrisonburg boasts a thriving Ethiopian community of 400 families. It is no wonder a constant stream of native Ethiopians drifted in and out during our visit, picking up bundles of fresh injera for their families or filling the small tables in the back to enjoy a meal. Tirhas was kind enough to show us how she makes both injera and ambasha, which is almost unbelievable since Ethiopians tend to guard their injera recipes with their lives. Making injera is an art that takes time to master. Some people never get it right; Tirhas certainly does. The quality of injera is measured by the size and number of little holes in the top, called “eyes.” This gives injera its spongy texture. This injera is perfect. But let’s get to the food. While there isn’t a huge variety of vegan fare, it is certainly enough to give you a filling taste of authentic Ethiopia with a good balance of nutrients. We ordered the Gomen (collard greens), Misir Wot (spicy red lentils), and the Diniche Alicha (potatoes, green beans, and carrots), which included a tasty salad of tomatoes, lettuce, onion and jalapeño peppers with a lemony dressing. The injera is some of the best we’ve tasted anywhere. It was soft and pillowy, with a slight sourdough flavor. While we were speaking with Tirhas, we ran into Rick Yoder, who had popped in to let her know that he was bringing in a party of four later that evening. A former economics professor of Eastern Mennonite University, Yoder is now a Health Systems Consultant for low-income countries. Rick had once lived in Ethiopia and tells us that this convenience store/restaurant is a very typical venue there. He says he loves the food and attests to Family Convenience Store’s authentic flavors. What he particularly likes is that it hasn’t been Americanized like a lot of the Ethiopian restaurants he’s tried in this country. Not having visited Ethiopia ourselves, we can’t attest to that, but we can say this food is equal to or better than many of the Ethiopian restaurants we’ve visited and the injera, which is the heart of any Ethiopian meal, is among the best. Rick Yoder loves the great Ethiopian cuisine at Family Convenience Store! Do yourself a favor the next time you are tooling down I-81 South and are hankering for some good Ethiopian cuisine. Stop by Family Convenient Store and enjoy the best Ethiopian food within a 100-mile radius! Links to Amazon.com are affiliate links. When you buy something through my links, Veggin’ Out and About! receives a small commission that helps support this site, which is greatly appreciated. It does not increase the cost of your purchase, and it helps us to continue to serve you. I post links only to products I use myself, have been highly recommended by a trusted source (which I will always disclose), or are very similar to my own products that are no longer available. Click on product to view link. Tirhas swears by the Heritage grill. She has been using one of hers for twelve years and she has bought two more to keep up with her baking demands, making three injera in quick succession. She feels they are the best, especially for the price. You will need the lid, which is purchased separately. I, personally, have a Wass digital grill (mitad). You can get it at half the price listed on Amazon at almost any Ethiopian market, but you will no doubt pay a lot in shipping costs. I’ll add a link to that product below. I am happy with my purchase but have not had it long enough to verify its longevity. Co-founder and editor of Veggin’ Out and About, Danielle writes restaurant reviews, profiles and interviews of people who are making a difference in the plant-based community. 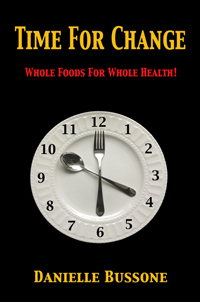 She is the author of, “Time For Change: Whole Foods For Whole Health,” released January 1, 2015. Danielle’s region is SW Virginia, Tennessee and North Carolina and anywhere she happens to stop for sustenance along the road. 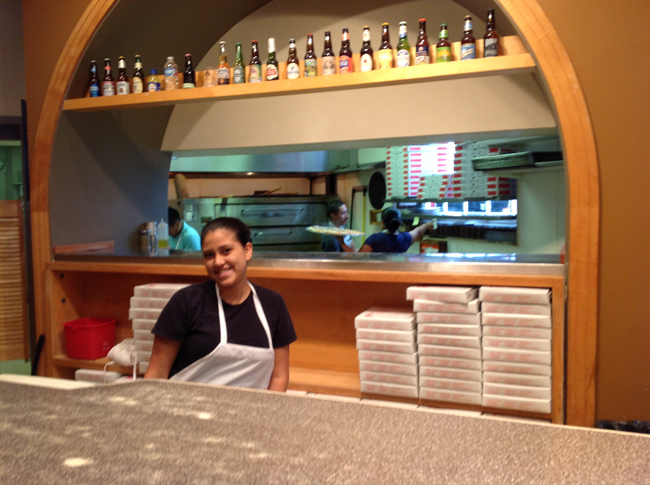 Contact Danielle directly to share your restaurant finds, to make comments or just to say hello. Countdown to Charlottesville, Virginia’s 19th Annual Vegetarian Festival, SEP 26th! It’s that time once again to make the long anticipated trek to the Charlottesville Vegetarian Festival, held in Lee Park, just one block off the historic downtown mall in Charlottesville, from 11am-5pm. It is shaping up to be a stellar event and the weather forecast looks promising! 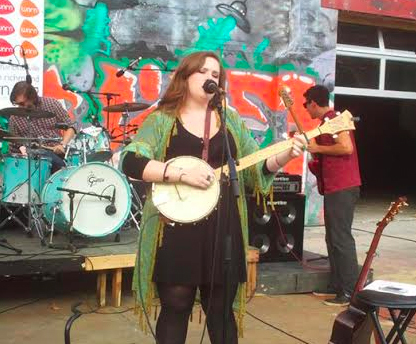 Enjoy live entertainment throughout the day while sampling some of the best vegan and vegetarian food in the area. Vendors showcasing animal friendly products, rescue organizations, fitness organizations and more will be available for your perusal. 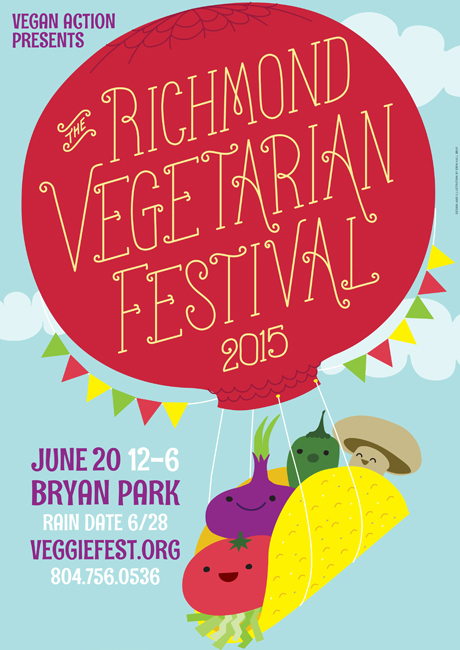 Richmond Vegetarian Festival Celebrates Its Lucky 13th Anniversary, June 20th at Bryan Park! Celebrating their 13th year, Richmond Vegetarian Festival, one of the most happening vegfests in the country is less than THREE WEEKS away, June 20th, from 12-6pm. Richmond Vegetarian festival boasts thousands of visitors each year at the shaded grounds of Bryan Park and the numbers just keep growing. One hundred plus vendors will be nestled among trees in the dappled oasis of the park’s Azalea Gardens where great food and entertainment for the entire family can be leisurely enjoyed at this FREE event! Mike Goldberg (of WTVR-CBS6) will be the ever-popular Master of Ceremonies. Even your pets are welcome! 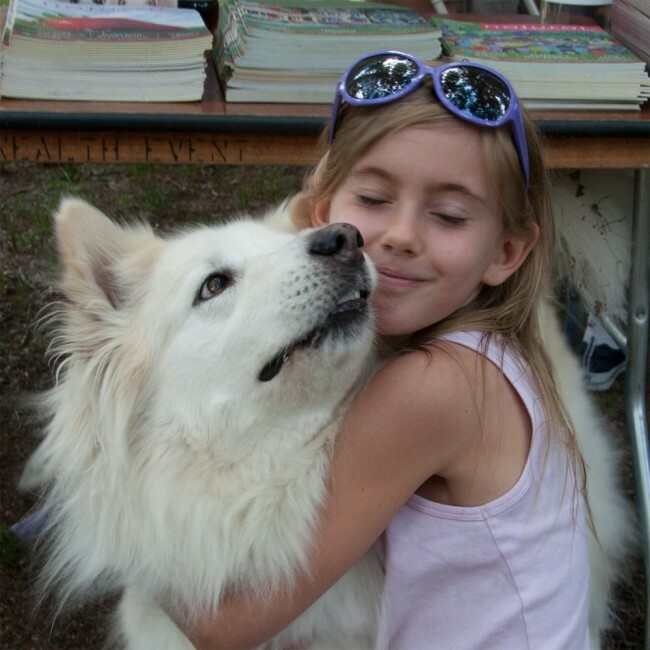 Pet and Kid Friendly Atmosphere!